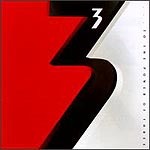 CD review: "To the Power of Three"
This review first appeared in the April 22, 1988 edition of the San Diego Evening Tribune. Keyboardist Keith Emerson has been looking for a vehicle for his talents since the demise of Emerson, Lake and Palmer a decade ago. After a series of solo and other forgettable projects, Emerson reconstructed ELP with Greg Lake and new drummer Cozy Powell two years ago. The resultant album was decent, if not especially noteworthy. Compared to Emerson's latest project, though, Emerson, Lake and Powell's record sounds excellent. Teaming up with former ELP drummer Carl Palmer and newcomer Robert Berry, Emerson has formed his latest band, 3. Berry provided the songs and vocals for this project. His songwriting is unimaginative and his vocals sound very much like Lake's. The tunes appear geared for Top-40 airplay, but display no hooks to grab a listener, only pabulum melodies designed not to offend. Emerson's arrangements are weighty and ponderous, and his by now all-too-familiar gothic keyboard signature seems to be a cheap cliché. Even hard-core ELP fans are likely to be disappointed with "To the Power of Three."